It’s been almost a month on Singtel mobile and yesterday’s the first time I’m roaming. Data roaming can give a horrible bill scare so I had to check Singtel’s settings to make sure I don’t get billed unnecessarily. First and foremost of course is to disable data roaming natively. Next was to check if Singtel has anything else in place to further protect the consumers from getting unnecessary bills. I had to draw comparison from M1 for reference. M1 has 2 safeguards for data roaming. 1. There’s a network lock feature where they make sure you only connect to their partner telco where they can offer cheaper rates for calls and SMS plus flat rate for data roaming. 2. They have a notification system that SMS you when the bill is approaching SGD $100. 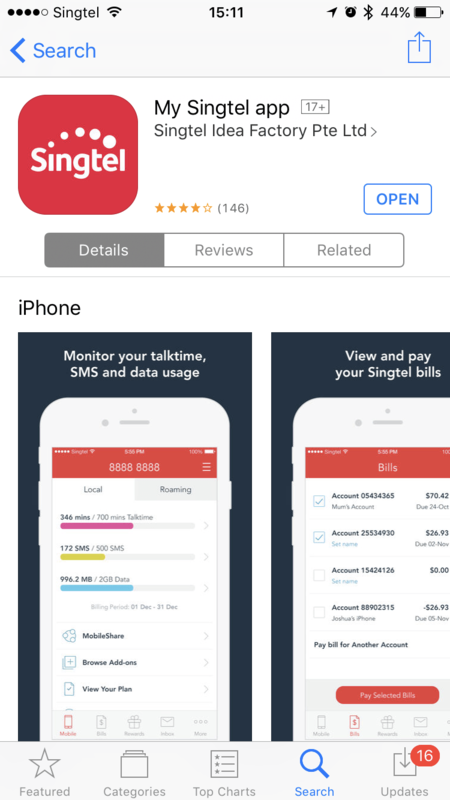 Singtel has a mobile app when we can do self service. 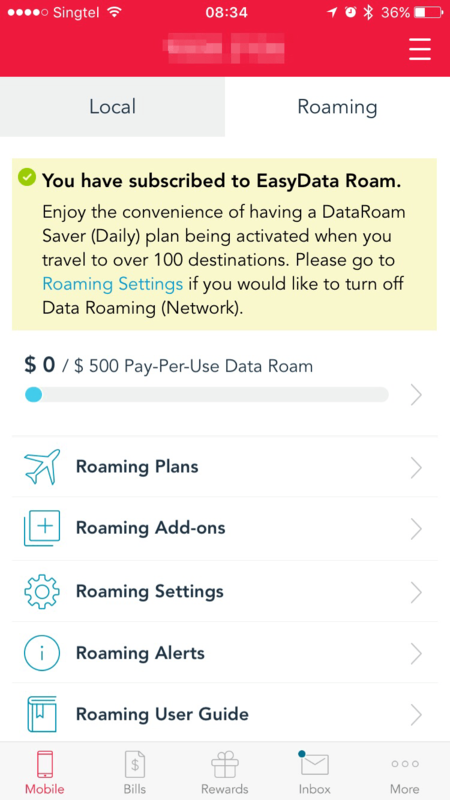 The data roaming settings can be done from the app. 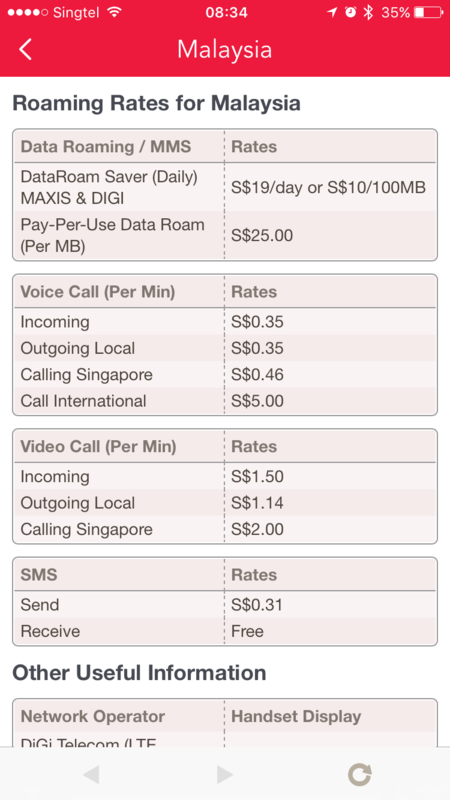 On the 2 features I mentioned above, Singtel only has the 2nd, which is the usage. This is something that needs to be noted. The default cap set by Singtel is SGD $500. 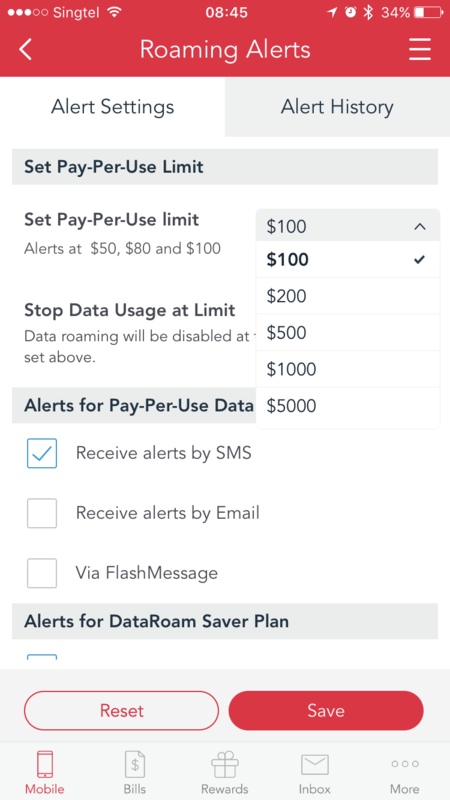 $500 can be chalked up very easily when roaming since they are charging rates like $10 per MB if you are not using a partner telco. To change this setting, go to Roaming Alerts on the screen above. Then you will see the following screen. The alert settings can be changed here. Then there’s also this page to refer to the list of telco partners in the countries you are visiting. To side track a little, I always use a local prepaid SIM in the countries that I go to. I had an experience when the local partner couldn’t work and I had to hook on to another telco. In the mere 10 mins of checking my flight information and rescheduling it, I got a bill of over SGD $100.